The Maruti Ertiga has already settled and the love for the LUV is already in the air. Now the other soon-to-come players are hurrying up to explore the hidden possibilities in this segment and want to explore it just as Ertiga is doing. One such upcoming MPV is Chevrolet Enjoy that is expected to be launched sooner than later as it has been caught testing recently. The Enjoy is one of the upcoming MPVs that also include Nissan Evalia. The Enjoy MPV price is expected to be around Rs 5 lakh to Rs 7 lakh and a near Diwali launch is what is expected to be on the cards. Already unveiled at the Auto Expo held in new Delhi this year, the Enjoy will be cheaper than Chevrolet Tavera as a look at the spied car reveals that it lacks alloys and has steel wheels, the bumpers were not body colored and there were no fog lamps on it. The paintwork was non-metallic. In addition to this, it seems that Enjoy will be much cheaper than the Ertiga as well and as far as GM India is concerned, we can expect that the production will be high so that there will be no waiting period as that is on the Ertiga currently. Meanwhile, reports also suggest that the interiors of the Enjoy will be in black and beige colors. 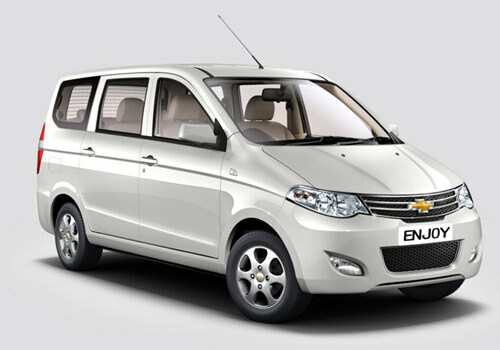 Expected to arrive in India this Diwali after the launch of the Chevrolet Sail sedan and Chevrolet Sail hatchback, the Enjoy MPV will be a great hit once it is launched as the brand is known for its MPVs. The engine options will be 1.3 L multijet diesel and 1.4 L petrol. Just as the Tavera, the Enjoy MPV will be targeting the taxi segment. Auto industry experts believe that the Enjoy will be cheaper than Evalia and thus it is expected that it will be a volume puller for in India. 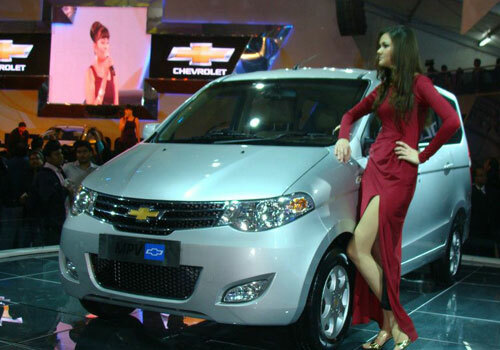 I hope,Chevrolet Enjoy would be sale better than Maruti Ertiga. I think that Enjoy will carry more features than its elder brother, Chevrolet Tavera.